Hello Doodlebug friends! 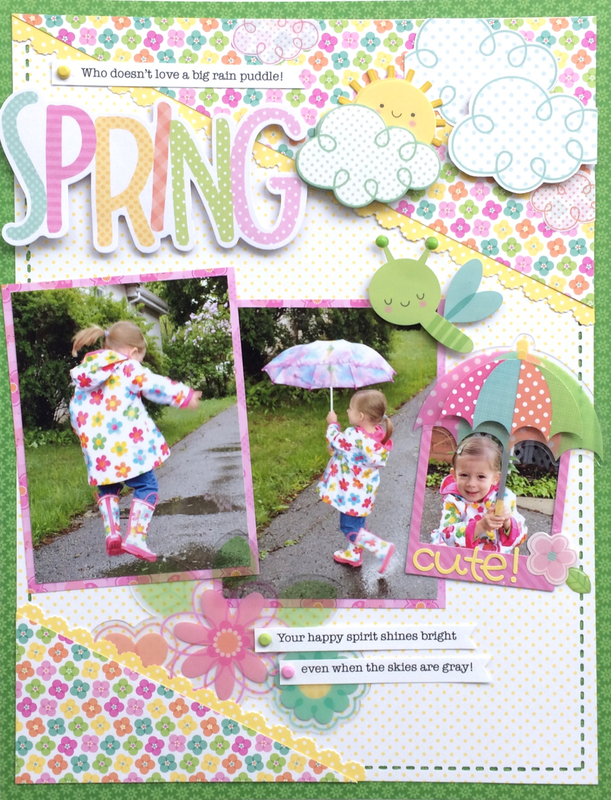 It's Virginia here to share with you a layout and an accordion album using the adorable Spring Things collection. 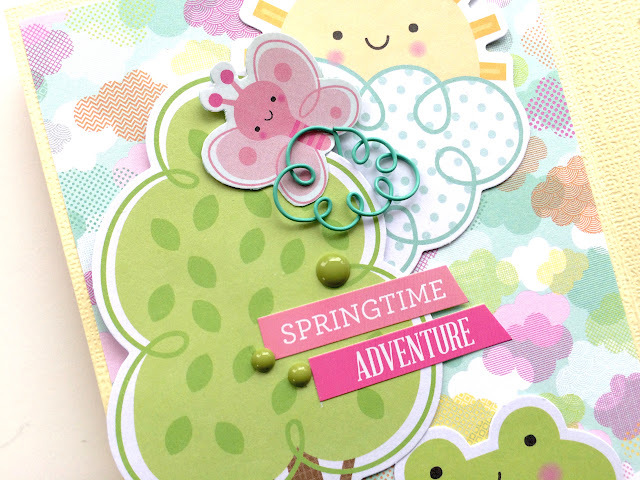 You'll love all the cute little critters, clouds, flowers and especially the acetate die cut ephemera in this collection! Here is my Spring page, don't you just love the flowers on her raincoat, so very Doodlebug-ish! This cutie's name is Emma and she is holding an umbrella in her photo pose. I layered the umbrella doodle-pop on top of the acetate umbrella and it fit perfectly into her hands! Next, I created an accordion album, this is a great way to have fun scrapbooking your photos and using lots of fun embellishments along the way. Love that umbrella!!! And your accordion album is fabulous!!! !